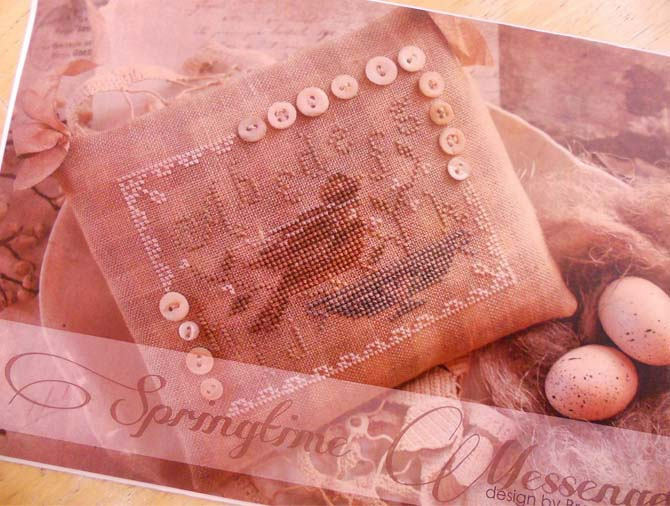 Springtime Messenger by Brenda Gervais of With Thy Needle & Thread...cross-stitch design. Spring Greetings Bouquet pincushion measures 5 1/2 x 3 1/2 inches. Pattern is stitched on 28 count linen. Shipped so quickly and is just a gorgeous pattern!